Harleighblu, a singer/songwriter out of Nottingham, came up on my radar when her debut album, Forget Me Not, debuted back in 2013. It was a nice, searing collection of throwback soul, with a whole lotta brass and vocal energy from the then-20-year-old. but sadly, the release didn't get my undivided attention like it should have. I know...rookie's mistake. Two years later I'm meeting Harleighblu half-way, and discovering she has switched up her sound vibe as she glides into the briny deep of down-tempo future soul. 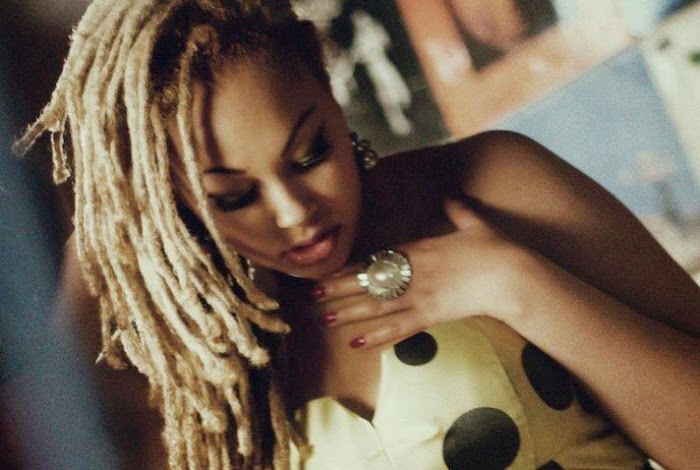 We'll be hearing more of her aural transition when her EP, Futurespective, drops on June 1st courtesy of the Tru Thoughts label (which Harleighblu has recently signed to), but to get the ball rolling single, "Meant To Be" is on the come up. Featuring production by Azure, "Meant To Be" is a serene astral escapade that is spacious as it is meditative, with Harleighblu toning down her textured Ledisi, Jr. vocals, but still spearing it vocally to the soul. Lots of great sound and vocal layers to peel back and savor on this one.